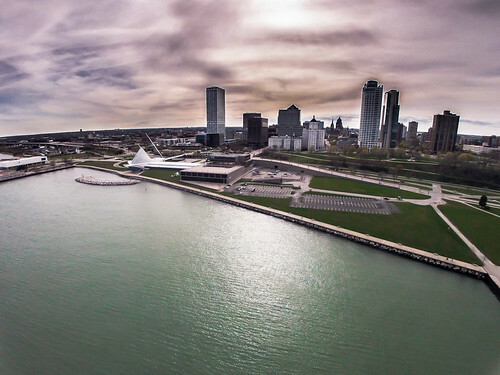 A quick trip up to Milwaukee yesterday to try and capture some aerial images. I started at the Milwaukee Domes, but the gusty winds prevented me from getting a camera in the air safely, so I abandoned that spot for another day. 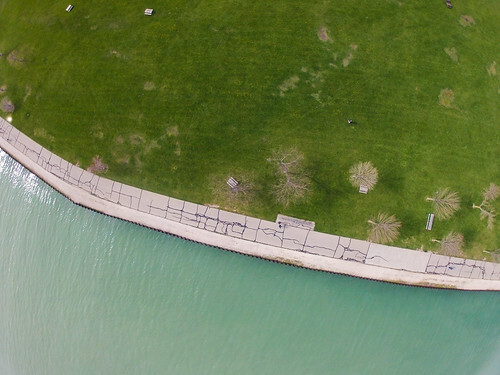 Headed down to Veteran's park on Lake Michigan and flew for about an hour to capture the skyline. 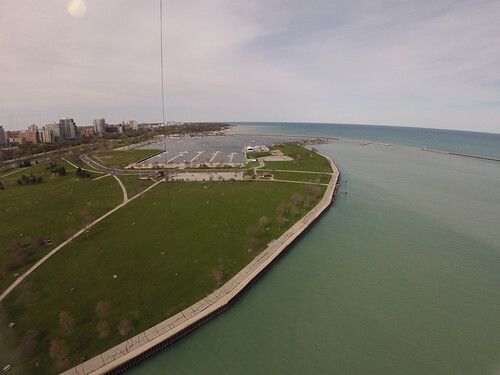 The position of the sun was not ideal, but I was able to capture a few interesting shots of the Art Museum and skyline with the camera over Lake Michigan about 300 feet in the air. I like this shot, and need to plan on making the trip to Milwaukee in the morning so I have the sun at my back. Looking straight down at the edge of the park. Lake Michigan doesn't look that bad this time of year, but water is still very cold. Case for Organization: Harbor Freight!